Notes about getting MSP-EXP430G2ET programmed from Debian Linux. 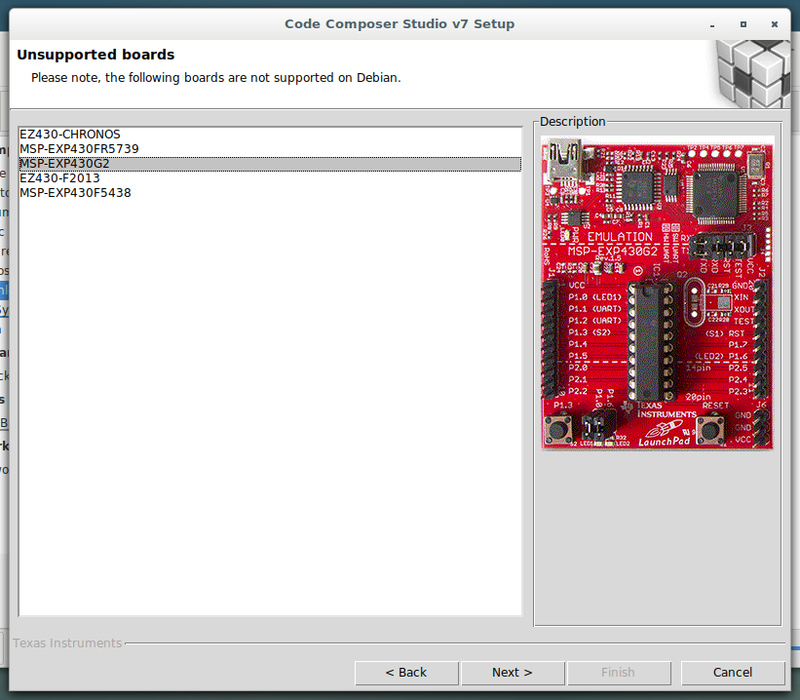 Long story short → upgrade the board firmware with Code Composer Studio under Windows first, then the mspdebug v0.25 (from GitHub) worked just fine. Despite successfully looking output nothing happened to the board, no change. Googled around forums and found only one report of such a behaviour → unresolved. 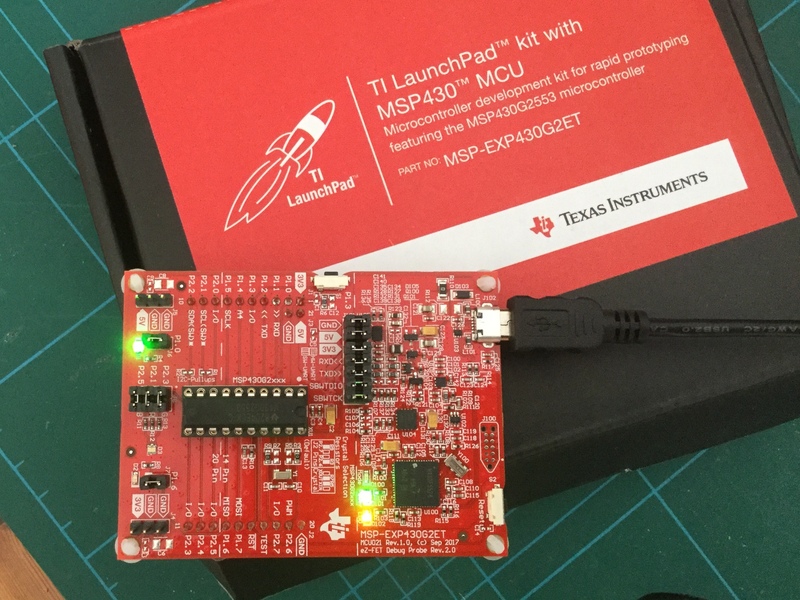 Chip info database from MSP430.dll v3.13.0.601 Copyright (C) 2013 TI, Inc. Anyway I've tried ;-) and indeed it reported firmware recovery needs and failed → so well yes it's unsupported under Linux. Next try was to plug it to Windows installation under kvm virtualisation and try. Had to add `… -usb -usbdevice 2047:0203` to get the usb device present inside the virtual machine. Windows version of Code Composer did not complain, performed the firmware upgrade first time and then failed. It turned out that the USB device ID changed to 2047:0013. After making that one available to windows, there was a second firmware upgrade and afterwards the board was loaded with example blink software.